Yes, you read that right. While we’ve extensively investigated how LinkedIn is one of the best platforms for B2B marketing (LINK), given scenario’s and guidelines to get your campaigns to work with you, and spent endless hours practicing these strategies ourselves, sometimes LinkedIn is not the right solution to your own business, or your client’s business needs. Research has shown that people will buy products, even if it’s an inferior product and even if it’s more expensive, from someone they like, know or trust when compared to someone they don’t like, a company they don’t know or a brand they have not yet come to trust. If your brand is still a fledgling, you may want to setup a page, grow your network and brand first, and only a few months after establishing yourself and having social proof (testimonials) available, decide on the type of campaign to launch. 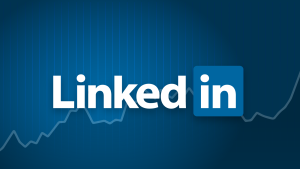 Did you know that LinkedIn gets over 1 billion searches a day? And that of your ideal audiences, just under half are decision makers – i.e. – the people you WANT to notice you? Be honest here; how many times has someone sent you an invitation to connect, and 5 minutes later they are pitching their product to you, unashamedly? Take heed. This. Does. Not. Work. But how else do you stand out from the crowd? A few ideas to establish your page and allow it to stand out include managing connections (LinkedIn shows any amount over 500 connections as an automatic info snippet, which immediately and automatically builds trust). You can also ask for recommendations, link your (ready-to-go, live and content-filled) website. You can start to post organic content frequently, allowing engagement with connections to happen organically, too. Once all your hard work is in place and showing results, you still need to make your page stands out from the crowd – or at the very east – your ad copy needs to knock some socks off. Unless you have the right experience and knowledge to launch on-point campaigns, making your offers truly pop may prove to be a difficult mountain to climb. Google knows what you had for lunch. It will also associate your name to your LinkedIn profile, and if your company website is not indexed, or if your site is sub-par, well, it might do more damage than good. Did you know that most people’s LinkedIn profiles rank higher in Google search than their company’s websites? Before doing business with strangers, most people do their research with who they’re about to deal with and this simple step can either make or break your chances of landing the client. If you have an old profile, with no or very few connections, a 10 year old picture – or worse yet, no profile picture – you lose all credibility. If this is you – your first impression could be your last impression. Need help with your LinkedIn marketing strategies and execution? Get in touch today!